You’d think that now Celebrity Big Brother has come to a close, our obsession with all things Emma Willis may have subsided somewhat. But the thought of not seeing her on our screens every night makes us crave her even more! Emma’s laidback, cool style is most definitely aspirational, but what we really love is that it’s achievable too and that’s why she is this month’s Hair Hero. Emma’s signature look is her short hair, a look she’s rocked for many years now. Something that some might find quite boring, but the way Emma and her stylist play with colour, texture and length means this ‘do’ never sets stale. We love this textured darker style, the hair has been styled forward to create a messy look. The higher the hair..! Volume is the key to this gorgeous style, use a texture spray to create height and fix with hairspray. Off duty-chic and make up free, Emma’s style is simply parted to one side and swept over. This sleek 1920s inspired look is reminiscent of the flapper style, chic slicked down bob. Golden highlights give Emma’s style a summery look while she sticks with her voluminous style. Styling short hair takes a little more imagination, but with the right products and tools you can create a wide variety of styles. If you have thinner hair, a texturising powder like our OSiS ‘Dust it’ adds root volume with a matt finish to the hair. 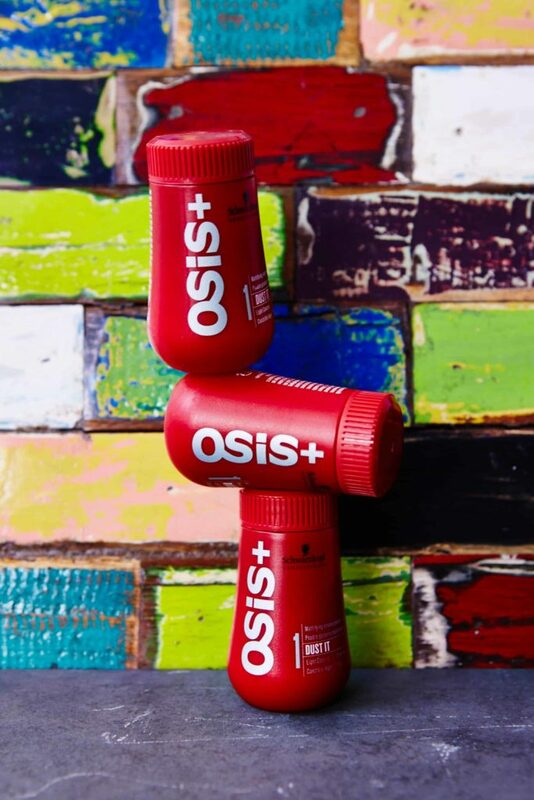 Use the accompanying OSiS hairspray to set your look in place for the rest of the day! If you fancy a change, maybe go for the chop like Emma, then why not book a free consultation. Our team of experienced stylists can advise you on the best look for your hair and lifestyle.